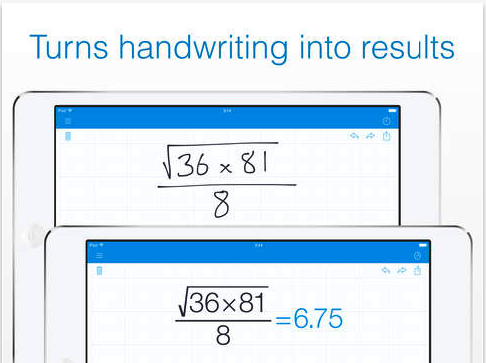 MyScript Calculator is a very good calculator that allows you to perform mathematical operations using your handwriting. 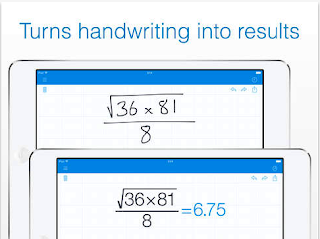 You simply handwrite symbols and numbers on your device’s screen and the app converts it into digital text in realtime. You can also use it to solve mathematical operations by hand as if you are working on them on a paper with the added advantages of a digital device including things such as scratch-outs and results in realtime. Misc. Operations: %, |5|, 3!